Jimmy Cricket and his wife May recently attended the wedding of some very good friends in their adopted home town of Rochdale. 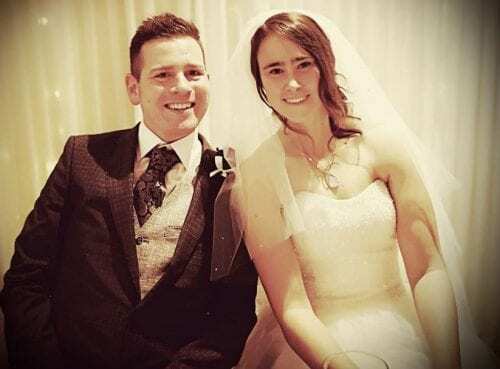 The marriage of Lexi Hamer and Chris Rodgers took place at St Vincent’s RC Church in Norden, where Fr Paul Brindle celebrated mass, and was followed by a reception at Rochdale Rugby Union Club in Bamford. Lexi is the daughter of Martin and Carole Hamer, who live in Norden, and Chris is the son of Cathryn and Eric Rodgers, who reside in Shawclough. More than 100 guests in total attended the buffet meal and the evening celebration.